Election years provide a host of challenges and benefits in regard to PAC fundraising, such as increased competition for dollars in an environment of intense awareness. And PACs are no longer just about the superwealthy: crowd-sourcing and other strategies are changing everything about how PACs are used and managed. Clearly, PACs matter in American politics. And they’ll matter even more for 2020. That’s why now is the time to build today’s best fundraising, management and compliance strategies into your own PAC plan. Here’s where to start. Register now for PAC 101-Strategies for the 2020 Elections. In this 90-minute webinar, two PAC experts arm you with the basics for navigating today’s highly regulated environment as you apply today’s best management and fundraising strategies to drive success in the 2020 elections and beyond. You’ll come away ready to use these new basics to make all the difference in reaching fundraising targets—and making those funds matter. Best practices for PAC success. No need to reinvent the wheel: you’ll look at trends in federal PACs and at specific fundraising and management strategies that work. Plus, you’ll have the chance to ask the experts your own questions during the Q&A portion of the webinar. From events for superwealthy donors to social media crowd-sourcing, today’s PACs can leverage a host of strategies for achieving fundraising goals. Make sure you’re giving your own PAC the benefit of them all! Trey Richardson is Managing Partner, Sagac Public Affairs, LLC. 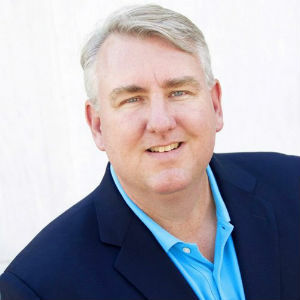 Trey is widely recognized as a leader in the political community, and a respected practitioner, author, and speaker on advocacy fundraising and political action committees. Known for his creativity, he has for two decades influenced the direction of political finance activities throughout the United States, and has been named one of the “Top Political Action Leaders in America” by industry publications. As Managing Partner of Sagac Public Affairs, Trey creates and implements finance, communications and market research for America’s top political committees and advocacy organizations. Lauren Rahill oversees Sagac's account management and new business group delivering integrated communications and fundraising campaigns to Fortune 500 companies and national trade associations. As Marketing Director, she adds new business development and development and implementation of internal marketing strategies to her skillset. Previously Director of Account Services, she managed the strategic planning and operational aspects of Sagac’s public affairs clientele. 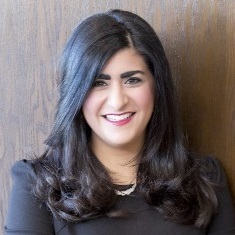 She brings to her role nearly a decade of experience planning and executing public affairs campaigns for pro-business political committees. In 2016, she received the "NextGen Under 30 Award," which recognizes young professionals who demonstrate talent, drive and service to their communities. Don't wait! Register your entire team today! To order by phone, call 1-888-265-0600. Please Note: CPE credit can be earned for attending the live webinar only. From Solicitation Through Audit, 2nd Edition to your order! 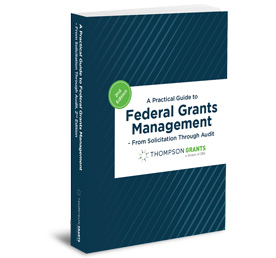 A Practical Guide to Federal Grants Management is the best insurance policy there is for limiting your organization’s risk of disallowed costs, loss of federal funding and public relations nightmares. Add it to your order today! (up to a $120 savings)! Copyright © 2019 - Association Trends, a division of CBIS. All rights reserved.